Dr Zibarras became a lecturer in the Organisational Psychology Group at City University London in 2008. She was previous Programme Director of City's MSc in Organisational Psychology and currently admissions tutor for the course. She joined City in 2004 as a research assistant and then in 2005 started her PhD, during which time she had various course related responsibilities including teaching and dissertation supervision. Prior to her PhD she held diverse roles from training and development, IT manager and independent consultant (working for a range of public and private sector organisations). 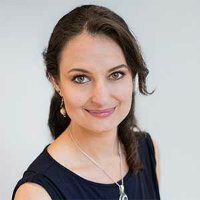 Dr Zibarras is a Chartered Occupational Psychologist (HCPC registered); an Associate Fellow of the BPS Division of Occupational Psychology and a member of the Society of Industrial and Organisational Psychology. Dr Zibarras' research interests lie broadly within selection, innovation and sustainability in the workplace. Her PhD research focused on the applicant perspective in selection and examined the determinants of application fairness perceptions in high-stakes selection settings. Her research in selection/assessment and psychometrics has attracted funding for a research programme focused on high-stakes selection and assessment (2011-2012); revalidation of psychometric questionnaires (2014-2015) and developing psychometric assessments for loan underwriting (2017-2020). Dr Zibarras has also directed research funded by the Richard Benjamin Trust, examining the role of psychological theories in explaining why employees engage (or don't) in pro-environmental workplace behaviours (2011-2012). This builds on previous research exploring the barriers and facilitators to pro-environmental behaviour at work. She has also been involved in a number of innovation research projects, including an examination of the relationship between innovation and personality characteristics, and funded research (by Nestlé UK) exploring how to select innovators. Patterson, F. and Zibarras, L. (Eds. ), (2018). Selection and Recruitment in the Healthcare Professions: research, theory and practice. Switzerland: Palgrave Macmillan. ISBN 978-3-319-94971-0. Lewis, R. and Zibarras, L. (2013). Work and occupational psychology: integrating theory and practice. SAGE. Zibarras, L. (2017). what encourages employees to go "green"? Towards an understanding of pro-environmental behaviour in the workplace. In Niven, K., Lewis, S. and Kagan, C. (Eds. ), Making a Difference with Psychology. The Richard Benjamin Trust. Woods, S., Zibarras, L. and Hinton, D. (2017). Recruitment and Selection. In Crawshaw, J., Budhwar, P. and Davis, A. (Eds. ), Human Resource Management : Strategic and International Perspectives Sage Publications. Patterson, F., Kerrin, M. and Zibarras, L. (2012). Employee innovation. In Pitsis, T.S., Simpson, A. and Dehlin, E. (Eds. ), (pp. 163–188). EDWARD ELGAR PUBLISHING LTD.
Zibarras, L. and Ballinger, C. Promoting environmental behaviour in the workplace: a survey of UK organisations. In Bartlett, D. (Ed. ), The Psychology of Sustainability in the Workplace Leicester: British Psychological Society. Zibarras, L. (2017). The dark matter of differential attainment (symposium). Division of Occupational Psychology Conference 4-6 January, Liverpool. Zibarras, L. (2014). Exploring the drivers of energy-related behaviour in an Organisation. BEHAVE September, Oxford, UK. Zibarras, L. and Patterson, F. (2011). Using attribution theory to explore the psychological outcomes of high stakes selection. Division of Occupational Psychology conference January, Warwickshire, England. Greaves, M. and Zibarras, L. (2010). Using psychological theory to reduce energy consumption in the workplace. Energy in the City Conference June, London. Zibarras, L. and Patterson, F. (2009). Applicant reactions, perceived fairness and ethnic differences in a live, high-stakes selection context. Division of Occupational Psychology Conference January, Blackpool, England. Patterson, F., Tiffin, P.A., Lopes, S. and Zibarras, L. (2018). Unpacking the dark variance of differential attainment on examinations in overseas graduates. Medical Education, 52(7), pp. 736–746. doi:10.1111/medu.13605 . Zibarras, L., Patterson, F. and Driver, R. (2018). A future research agenda for selection into healthcare. European Journal of Dental Education, 22(2). doi:10.1111/eje.12279 . Woringer, M., Nielsen, J.J., Zibarras, L., Evason, J., Kassianos, A.P., Harris, M. … Soljak, M. (2017). Development of a questionnaire to evaluate patients' awareness of cardiovascular disease risk in England's National Health Service Health Check preventive cardiovascular programme. BMJ Open, 7(9). doi:10.1136/bmjopen-2016-014413 . Patterson, F., Cousans, F., Coyne, I., Jones, J., MacLeod, S. and Zibarras, L. (2017). A preliminary investigation to explore the cognitive resources of physicians experiencing difficulty in training. BMC Medical Education, 17(1). doi:10.1186/s12909-017-0918-z . Patterson, F. and Zibarras, L.D. (2017). Selecting for creativity and innovation potential: implications for practice in healthcare education. Advances in Health Sciences Education, 22(2), pp. 417–428. doi:10.1007/s10459-016-9731-4 . Pangallo, A., Zibarras, L. and Patterson, F. (2016). Measuring resilience in palliative care workers using the situational judgement test methodology. Medical Education, 50(11), pp. 1131–1142. doi:10.1111/medu.13072 . Patterson, F., Prescott-Clements, L., Zibarras, L., Edwards, H., Kerrin, M. and Cousans, F. (2016). Recruiting for values in healthcare: a preliminary review of the evidence. Advances in Health Sciences Education, 21(4), pp. 859–881. doi:10.1007/s10459-014-9579-4 . Patterson, F., Zibarras, L. and Ashworth, V. (2016). Situational judgement tests in medical education and training: Research, theory and practice: AMEE Guide No. 100. Medical teacher, 38(1), pp. 3–17. doi:10.3109/0142159X.2015.1072619 . Zibarras, L., Cousans, F. and Patterson, F. (2016). Trait and gender differences in personality: Implications for GP training and future research. Education for Primary Care, 27(3), pp. 214–216. doi:10.1080/14739879.2016.1166071 . Zibarras, L. and Patterson, F. (2015). The role of job relatedness and self-efficacy in applicant fairness perceptions in a high-stakes selection setting. International Journal of Selection and Assessment, 21(4). Pangallo, A., Zibarras, , Lewis, R. and Flaxman, (2015). Resilience through the lens of interactionism: A Systematic Review. Psychological Assessment. doi:10.1037/pas0000024 . Zibarras, L.D. and Coan, P. (2015). HRM practices used to promote pro-environmental behavior: a UK survey. International Journal of Human Resource Management, 26(16), pp. 2121–2142. doi:10.1080/09585192.2014.972429 . Patterson, F., Zibarras, L., Kerrin, M., Lopes, S. and Price, R. (2014). Development of competency models for assessors and simulators in high-stakes selection processes. Medical Teacher, 36(12), pp. 1082–1085. doi:10.3109/0142159X.2014.930112 . Greaves, M., Zibarras, L. and Stride, C. (2013). Using the theory of planned behavior to explore environmental behavioral intentions in the workplace. Journal of Environmental Psychology, 34, pp. 109–120. doi:10.1016/j.jenvp.2013.02.003 . Patterson, F., Lievens, F., Kerrin, M., Zibarras, L.A.R.A. and Carette, B. (2012). Designing Selection Systems for Medicine: The importance of balancing predictive and political validity in high-stakes selection contexts. International Journal of Selection and Assessment, 20(4), pp. 486–496. doi:10.1111/ijsa.12011 . Woods, S.A., Poole, R. and Zibarras, L.D. (2012). Employee absence and organizational commitment: Moderation effects of age. Journal of Personnel Psychology, 11(4), pp. 199–203. doi:10.1027/1866-5888/a000073 . Patterson, F., Ashworth, V., Zibarras, L., Coan, P., Kerrin, M. and O'Neill, P. (2012). Evaluations of situational judgement tests to assess non-academic attributes in selection. Med Educ, 46(9), pp. 850–868. doi:10.1111/j.1365-2923.2012.04336.x . Holman, D., Totterdell, P., Axtell, C., Stride, C., Port, R., Svensson, R. … Zibarras, L. (2012). Job Design and the Employee Innovation Process: The Mediating Role of Learning Strategies. Journal of Business and Psychology, 27(2), pp. 177–191. doi:10.1007/s10869-011-9242-5 . Koczwara, A., Patterson, F., Zibarras, L., Kerrin, M., Irish, B. and Wilkinson, M. (2012). Evaluating cognitive ability, knowledge tests and situational judgement tests for postgraduate selection. Med Educ, 46(4), pp. 399–408. doi:10.1111/j.1365-2923.2011.04195.x . Patterson, F., Zibarras, L., Carr, V., Irish, B. and Gregory, S. (2011). Evaluating candidate reactions to selection practices using organisational justice theory. Med Educ, 45(3), pp. 289–297. doi:10.1111/j.1365-2923.2010.03808.x . Holman, D., Totterdell, P., Axtell, C., Stride, C., Port, R., Svensson, R. … Zibarras, L. (2011). Job Design and the Employee Innovation Process: The Mediating Role of Learning Strategies. Journal of Business and Psychology pp. 1–15. Patterson, F. and Zibarras, L. (2011). Exploring the construct of perceived job discrimination in selection. International Journal of Selection and Assessment, 19(3), pp. 251–257. Wyatt, M.R.R., Pathak, S.B. and Zibarras, L.D. (2010). Advancing selection in an SME: Is best practice methodology applicable? International Small Business Journal, 28(3), pp. 258–273. doi:10.1177/0266242609350815 . Zibarras, L.A.R.A. and Woods, S. (2010). A survey of UK selection practices across different organization sizes and industry sectors. Journal of Occupational and Organizational Psychology, 83(2), pp. 499–511. doi:10.1348/096317909X425203 . Patterson, F., Carr, V., Zibarras, L., Burr, B., Berkin, L., Plint, S. … Gregory, S. (2009). New machine-marked tests for selection into core medical training: evidence from two validation studies. Clin Med (Lond), 9(5), pp. 417–420. Inceoglu, I., Gasteiger, R.M., Anderson, N., Bartram, D., Port, R., Zibarras, L. … Woods, S. (2008). Are conscientious individuals less innovative? On the interplay of personality and innovation potential. INTERNATIONAL JOURNAL OF PSYCHOLOGY, 43(3-4), pp. 585–585. Zibarras, L.D., Port, R.L. and Woods, S.A. (2008). Innovation and the 'dark side' of personality: Dysfunctional traits and their relation to self-reported innovative characteristics. Journal of Creative Behavior, 42(3), pp. 201–215. doi:10.1002/j.2162-6057.2008.tb01295.x . Woringer, M., Jones Nielsen, J. and Zibarras, L. Development and Validation of the Attitudes and Beliefs about Cardiovascular Disease (ABCD) Risk Survey. NHS Health Check 2015 – Improvement through Collaboration Conference, 2015. Oakam Accelerates Financial Inclusion in the UK with Alternative Data. (2017). Fintech finance Digital micro-lender, Oakam has provided over 420,000 loans totalling over £320 million to consumers overlooked by mainstream financial institutions since 2006. Alternative data is enabling Oakam to employ new methods in underwriting and risk management to expand credit access for financially excluded consumers in the U.K., while maintaining robust lending standards. · Network associations: Similar to the use of relationship mapping on LinkedIn, Oakam assesses the connections between borrowers and applicants, based on social network data, geographic proximity, and referrals to study patterns that detect fraud or surface certain risk attributes. Data from Oakam showed that customers who were referred by other customers were 20% less likely to default than customers outside of any network. ��� Reaction data from nudges: In addition to predicting risk, Oakam uses gamification to influence it. Through its gamified mobile app, customers are financially incentivised to repay their loans. Oakam has seen a 25% improvement in on-time repayment since April 2017 as a result. Gamification also provides access to behavioural data to strengthen Oakam’s future underwriting decisions. ● Unstructured data from online conversations: Oakam uses natural language processing and machine learning to analyse the conversations between potential customers and Oakam Digital Agents via its website, and to detect default risk or fraudulent intent. Oakam partners City University to explore the use of psychometric data in credit scoring. (2017). Finextra Digital micro-lender, Oakam has provided over 420,000 loans totalling over £320 million to consumers overlooked by mainstream financial institutions since 2006. Alternative data is enabling Oakam to employ new methods in underwriting and risk management to expand credit access for financially excluded consumers in the U.K., while maintaining robust lending standards. •	Network associations: Similar to the use of relationship mapping on LinkedIn, Oakam assesses the connections between borrowers and applicants, based on social network data, geographic proximity, and referrals to study patterns that detect fraud or surface certain risk attributes. Data from Oakam showed that customers who were referred by other customers were 20% less likely to default than customers outside of any network. ●	Reaction data from nudges: In addition to predicting risk, Oakam uses gamification to influence it. Through its gamified mobile app, customers are financially incentivised to repay their loans. Oakam has seen a 25% improvement in on-time repayment since April 2017 as a result. Gamification also provides access to behavioural data to strengthen Oakam’s future underwriting decisions. ●	Unstructured data from online conversations: Oakam uses natural language processing and machine learning to analyse the conversations between potential customers and Oakam Digital Agents via its website, and to detect default risk or fraudulent intent. Oakam Has Now Provided £320 Million in Loans to Consumers Overlooked by Traditional Finance. (2017). Crowdfund insider Oakam, an online micro-lender, has provided more tha 420,000 loans totaling £320+ million. These loans have gone to consumers ignored by traditionaly finance, says Oakam. Alternative data enables Oakam to utilize modern methods in underwriting and risk management to expand access to credit for financially excluded consumers in the U.K.. The credit is forwarded while maintaining robust lending standards. Frederic Nze, founder and CEO of Oakam, explains that the smartphone has been the vital variable in unlocking innovation to provide individuals financially excluded from the traditional system to powerful online services. Citing data from FICO, Oakam says that 60-75% of traditionally un-scorable consumers could be assigned a more meaningful credit score using alternative data. For Oakam, supplementing traditional methods of underwriting. Using analysis of credit bureau data along with alternative approaches has empowered Oakam to evaluate a high volume of applications. Oakam’s use of alternative data has reportedly yielded positive repayment behaviour among customers. Approximately 70% of new customers made on-time repayments, despite previous challenges accessing credit due to their income levels. Oakam has partnered with City, University of London for a joint R&D project to further the usage of psychometric data and behavioral science in its risk decisioning. This partnership is expected to allow Oakam to bring new scale to its business and lower the cost of borrowing by applying human expertise to a digital context. Managers failing to encourage ‘green’ behaviour at work. (2011).